IrfanView is light, simpler, proficient and professional image editor used to convert and stylize personal photos to make them attractive and stunning. It gives ultimate control over wedding, picnic, birthday party pictures with adding different effects, apply plugins to convert them in awesome mode. IrfanView is just simple and easy to use for every beginner image editor and for professionals, it’s be powerful. It support all graphic file extensions e.g. PNG, JPEG, JPG, BMP, PSD, TIFF, ICO, GIF and many others. However, it’s the simplest GIF animated image viewer for Windows. Unless there are many image viewers including ACDSee, XnView and few more. IrfanView is not only an image viewer but it’s also a video and audio player where it support MOV, SWF, AVI and MP3 files. Add different shapes, lines and text effects to personalize images. Another professional advantage is changing layout and skins of IrfanView with lots of free stuff. Just download and place skin package into theme folder, It will change menu bar, toolbar and complete layout of interface depending on skin color. A light, tiny and professional image editor used to create stunning new images or convert old images into beautiful mode. The great combination of tools, menus, shortcut keys alongwith skins, plugins and other utilities will deeply impact on graphics. The key feature of IrfanView is that it’s very light on CPU or RAM usage. 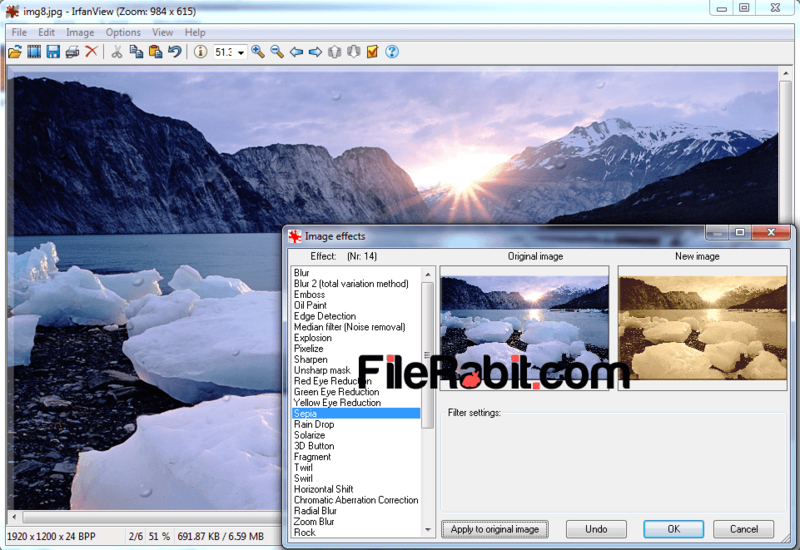 It shows basic details of image including size, resolution, file format and more. The size of image can be set to custom scale to perform different impacts on image with more closing view. Open Adobe Photoshop PSD images directly and start working on your personal images without putting load on CPU. Capture screenshots directly with pressing a single shortcut key from keyboard. Creating multipage images in TIF and PDF images are also been performed easily with its simple tools. Adobe 8BF plugins support added alongwith some professional and special effects.